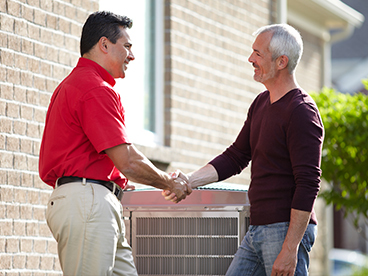 Choosing the Right HVAC Contractor to Replace Your System - Frederick Air, Inc. There are so many contractors that show up in search results and drive trucks around, so how does a homeowner know who to choose? Don’t assume that all contractors are pretty much the same, they’re not. Being a successful contractor in this market requires a very specific skill set that not many people have. Technical skill is not the only trade needed to run an HVAC company. This leader needs to be a good human relations person, an office manager, a quality control expert, a marketing genius, good customer relations skills. The list is endless. If you just want to get your heating or cooling back on, and don’t really care how well the system performs, or about how long it’s going to last, or whether you actually save money on your utility bills, the Yellow Pages are full of contractors with a few tools that can get the job done. But if you’re looking for a long-term relationship with a strong company that will be there to service that system for years to come, well, they better still be in business when you need them in a few years. Once you’ve narrowed down a list of HVAC Companies that look good to you, there are a few questions you should ask them if you haven’t already found the answer online. Do they have a legitimate place of business to operate the company, or, are they just working out of someone’s home? Are their technicians certified by an independent testing agency, such as NATE? Do service personnel wear company uniforms and display ID badges? Are they driving permanently identified trucks, used solely for business purposes? Do they offer true 24-hour emergency service? Are they properly licensed by the state? Do they comply with state laws, such as the Door-to-Door Sales Act? If a company is capable of meeting your needs now and in the future, it’s doubtful that they will have the cheapest price. How could they? It takes dedication, investment in the company’s future, and business sense to stay in business for 15 or 20 years. The person that is giving you the price for a new system has a serious responsibility to select the proper size and type of equipment that’s right for your individual circumstances. If they’re not taking lots of measurements of your home and ductwork if they’re not asking a lot of questions and trying to get to know you, how can they put together a proposal that’s tailored for your individual needs? So if you want to get the best value for your money, solve existing discomfort or dust problems, and end up with a new comfort system you will be proud to own and enjoy for many years to come, take the time to identify a quality contractor.